Coach Schweers, 33 years old is a Montgomery native. 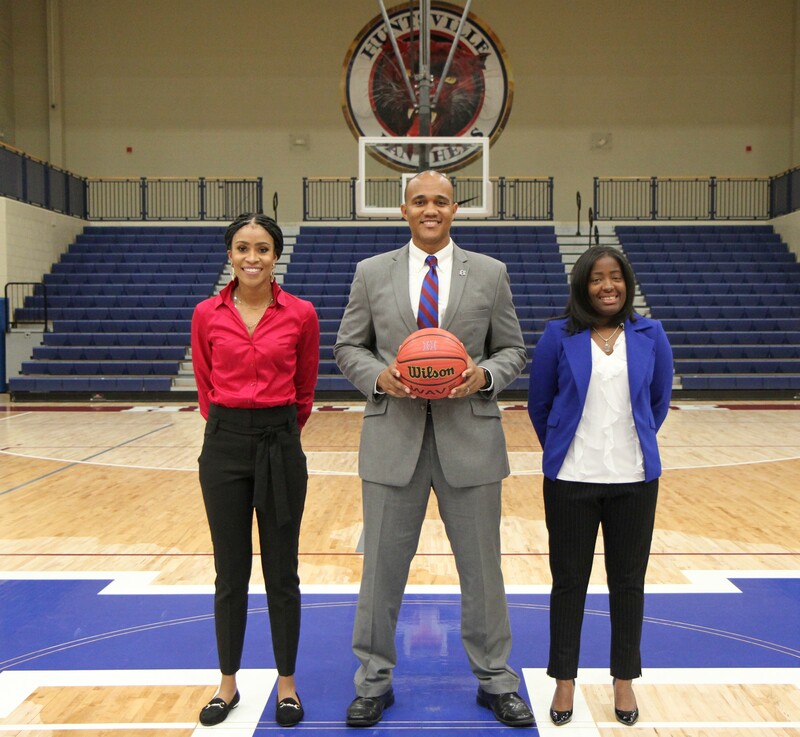 He enters his 1st season as the Head Boys Basketball Coach at Huntsville High School. He has spent 13 seasons as either a Head Coach or an Assistant Coach. He most recently was an Assistant Basketball Coach at Mountain Brook High School, where he was a part of 4 State Championships. Father Jack Schweers is a long time coach who just retired after 42 seasons on the High school and college levels. Mother Teri, sister Laurel (28). Married to Lou Ellen, formerly of Decatur, and proud parents of their first daughter, Olivia. Coach Schweers and his family will reside in SE Huntsville. With 9 years of coaching experience under his belt, Willie Moore just completed his 2nd season as the head coach of the Walker High School girls’ basketball team. Prior to becoming the head coach in 2014, Coach Moore was an assistant boys’ basketball coach at Walker. While coaching boys he was a part of four straight Sweet 16 appearances, several Area Championships, and 7 play-off appearances and during the 2007-08 season the team set a school record for most wins in a season. He also coached the Walker High School boys’ basketball All-Time leader scorer. In his first year talking over the girls program at Walker, the team was in a rebuilding year and finished 2nd place in the area in the regular season and the area tournament in class 6A Area 8. The Lady Viking advanced to the Sub-Regional round of the play-offs before being eliminated by Austin High School for went on to the Final 4. In the 2nd year the Walker Lady Vikings doubled the win total winning 18 games and advancing to the sub-regional round again before being eliminated by Austin High School. Other highlight from the season: The team traveled to Orlando, FL to play in the KSA Holiday Classic which gave the team national exposure, the team also received top 10 votes which was the first time since 1997. Born and raised in Jasper, Moore played on the collegiate level at Bevill State Community College-Walker College Campus and the University of West Alabama. He will be teaching Math at Huntsville High School. He is married to Lakesha Moore and they have two sons Jabari 18 and Wil 5.